Is there a need for a supply cap in Dubai’s real estate market? When the 2007 global financial downturn started in the US, there were talks about the “too-big-to-fail” banks that made the economy fragile. In the US context such failure was disastrous to the greater economy, and, therefore, the government stepped in to support and bail them out. Now let’s look at the “too-big-to-fail” concept in the context of the Dubai real estate market. With the low barrier to the entry of players, many developers have been attracted to launch projects in Dubai. Capitalising on the off-plan model, they managed to grow in size in a short time. Launching projects on a monthly basis became a standard feature in Dubai, especially in the last few years. The trust in Dubai real estate laws and regulations as well as great off-plan deals boosted the supply of units in the market. But this means there is a systemic risk to the real estate system. Apart from the abilities of developers, and their capabilities to take on these projects, there is the constant threat of oversupply. 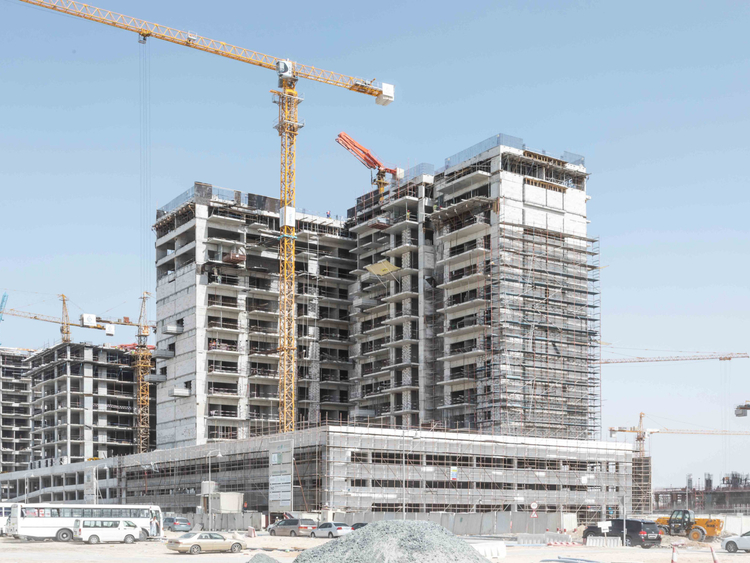 With more than 400 real estate developers in Dubai, the issue of oversupply is always there. Some of these developers have boasted a huge portfolio of off-plan projects and a failure to deliver would naturally impact the property market by hitting people’s confidence in off-plan. We were lucky to have the off-plan market revived and become attractive in the last few years given the affordability and flexibility in payments provided. We need to keep people’s trust in this model and thus there is a need to make sure that there are enough tools to make developers deliver on time and the quality promised. Here comes the need to instil better protection mechanisms for off-plan projects by requiring developers to get higher ratings based on financial capabilities and resource sufficiency to get new projects approved. Careful look at supply is important for market sustainability. Supply cap can be a solution to prevent developers becoming too big without having the resources and insurance of delivering these projects. This will guarantee that the market will not be flooded by so much stock. The city needs more protection and insurance from developers who grow too big too fast. In economics, anticipation of huge supply of a certain product means less demand for it now by customers. Real estate is no exception. This will ensure that supply is kept in check, enhance the confidence of investors and enable the government to put filters through the development process. We need to provide a platform for companies to join resources and compete on quality. More coordination of the supply side is needed to make sure value-added projects are going ahead. Not all developers should be allowed to sell off-plan; only those with a record of success and proven financial capability should be allowed. Other new developers should complete projects before selling. Dubai has been following the “supply will attract demand” model, which has attracted many short-term investors. For the city to attract end users and long-term investors, demand should create the needed supply. Keeping the market adequately supplied leads to more affordable and fair prices. There needs to be more strategic mergers in Dubai between developers and brokers. We need less of them with higher quality. This will make the market stronger by enabling developers and brokers in the market to join resources and build synergy, while improving quality and reducing supply. This is the time of maturity, resilience and disciplined growth. Mahmoud AlBurai is an international expert in housing policies and real estate regulations. The views expressed here are his own.